Rung half-muffled prior to Solemn Eucharist on Remembrance Sunday. Remembering all those killed, wounded and who suffered as a result of conflict. First submitted Monday, 13 November 2017 at 11:29:50 by Andrew Johnson. 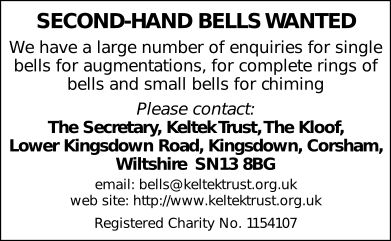 Sent for publication in The Ringing World on Saturday, 6 January 2018 at 10:30:25, and printed in one of issues 5571 or 5572.